A world without language barriers has finally arrived, thanks to new technology developed by a team of inventors in New York City. 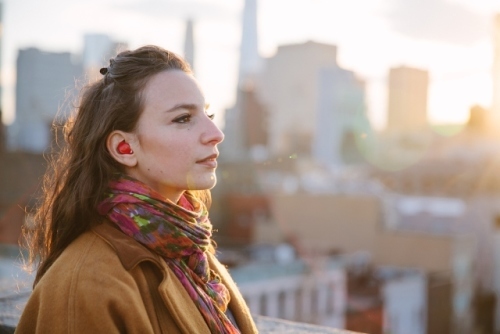 You see, Waverly Labs in Manhattan has just created the Pilot, which is the world’s first smart earpiece that translates between users speaking different languages. 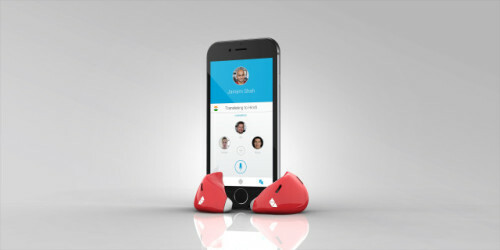 “At the convergence of wearable technology and machine translation, Waverly Labs is developing the world’s first smart earpiece language translator,” explains its team of inventors. The Pilot has been specially designed for today’s international traveler and it includes a second earpiece so that you can also stream music, a battery charger, and yes an app you download so you can toggle languages in the earpiece. So, what languages can you translate with this new technology? Well, lots: English, European based Romance and German languages, and other world languages, like Slavic, Semitic, Hindi and East Asian. More languages will be added as the technology further develops. At a video promotional shoot in Manhattan, Andrew Ochoa, the founder and CEO of Waverly Labs, tests out the technology with his girlfriend who speaks French. “Can you hear me in French?” asks Ochoa. You can hear his words transcribed via a computerized voice from English to French through her earpiece, and then she gives a big smile and laughs. When she responds back in French you can also hear her words being transcribed into English. “Yes, I can hear you talk in French,” she says with excitement in her voice. The Pilot is certainly very unique technology and there is nothing like it on the market. It is revolutionary and it will only help those who speak different languages to communicate perfectly. Yes, the days of anyone having to worry about hiring a personal translator and buying language books may soon be a thing of the past. This technology will also undoubtedly be a hit as people love to travel while soaking up new sceneries and cultures and meeting new people. “With an estimated 1.6 billion international trips annually by 2020, Waverly Labs is at the forefront of an ever-growing need,” writes its team of inventors. The Pilot will retail for $299.00 (USD).